A good pair of tongs is essential for any commercial kitchen. Provide your kitchen staff with the perfect pair with the Admiral Craft XHT-16 utility tong. 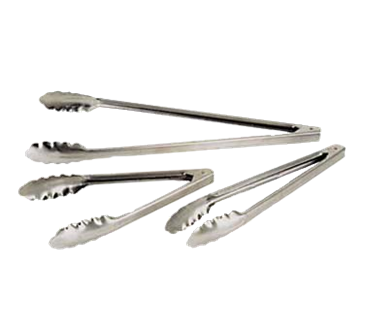 This set of tongs is made from high-quality stainless steel and measures 16 inches long.